*Note: You must be a Super Admin to access the Billing and Payouts page. 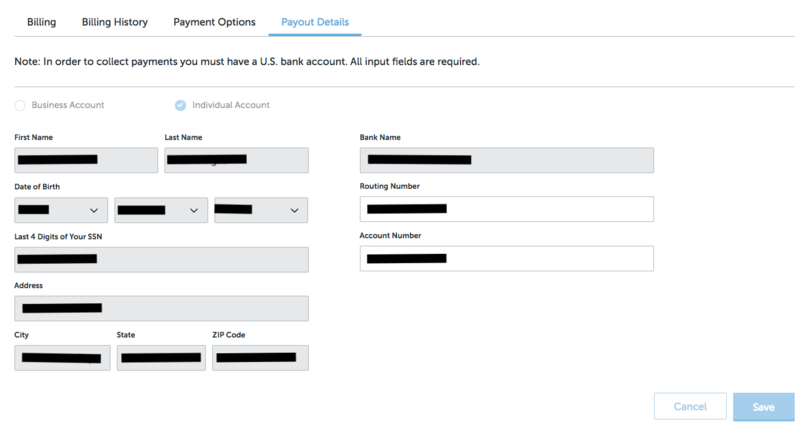 Within the User Profile icon window, click Billing and Payouts to manage your 18B|B subscription as well as banking information. 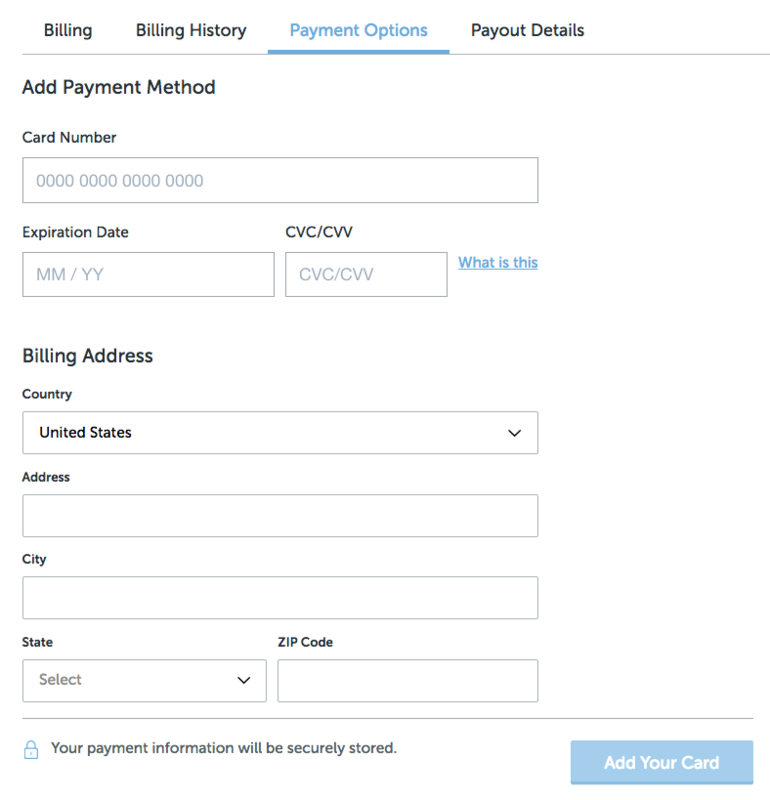 The Billing tab summarizes your 18B|B subscription and account details. In the column on the left, click on a product in the Product List to see more details on billing for that specific product. Tournament+: If you click Tournament+, you will see the tournament package you are signed up for (Birdie, Eagle, or Ace), and things like Start Date, Expiration Date, Duration, Event Limit, and Events Remaining. Here you can also choose to upgrade your package (if applicable), or pay for one specific tournament using the Pay Per Event option. Click the 'Buy' link of the package you wish to purchase. View the package summary and enter the required billing information and Proceed to Payment. If you wish to upgrade to the Ace package, click the Contact Us link, fill out the required information, and one of our business development representatives will contact you. As a Tournament+ subscriber, you have a full 30 days from your start date to cancel your subscription. Click Subscription Management, then Cancel Subscription. Click the Billing History tab to view a history of your transactions. We recommend entering a credit card here as a payment method. This card will be charged the agreed upon amount for your 18Birdies for Business subscription. The Payout Info tab is where you will upload your bank account routing information to be used when you collect tournament fees and/or rewards for adding new users to your community using Community Builder. First choose whether you are linking a Business or Personal account, then fill out the required fields and click Save. Business Name and Tax ID are required when linking a Business Account.